We talk a lot about the National Housing Trust Fund (NHTF) on this blog, but don’t always give you the nitty gritty details of the program. Today’s post delves into those details with an excerpt from an article on the NHTF from the Advocates’ Guide. The purpose of the National Housing Trust Fund is to increase and preserve the supply of rental housing for extremely low and very low income families, including homeless families, and to increase home ownership for extremely low and very low income families. At least 75% of the funds for rental housing must benefit extremely low income (ELI) households (those with incomes below 30% of area median income, or AMI), or households with incomes below the federal poverty level. All funds must benefit very low income (VLI) households (those with incomes below 50% of AMI). At least 90% of the funds must be used for the production, preservation, rehabilitation, or operation of rental housing. Up to 10% can be used to produce, preserve, or rehabilitate housing for first-time homebuyers, or to provide them with down payment, closing cost, or interest rate buy-down assistance. No more than 10% of a state’s annual grant may be used for overall administration and planning of the program. The NHTF is a block grant to states. The amount that each state will receive is based on a statutory formula containing factors reflecting the number of ELI and VLI renter households with severe cost burden (paying more than 50% of their income for rent) as well as the shortage of rental properties affordable and available to ELI and VLI households, with priority for ELI households. No state or the District of Columbia can receive less than $3 million. A proposed allocation formula mirroring the statutory factors was published in the Federal Register on December 4, 2009 and included in proposed implementation regulations on October 29, 2010. NLIHC has calculated the percentage of an allocation of $1 billion that might be distributed to each state, the District of Columbia, Puerto Rico, and the other territories. A chart with these amounts is available here. Notifying the public that an Allocation Plan will be drafted. Providing the public an opportunity to make comments about the plan. Making the completed Allocation Plan available to the public. The applicant’s ability to obligate NHTF dollars and undertake funded activities in a timely manner. The extent to which rents will be affordable in the proposed project, especially for ELI households. The length of time rents will remain affordable in the proposed project. The use of other funding sources in the proposed project. The merits of an applicant’s proposed activity. The experience and capacity to produce the kind of housing called for by the program. The financial capacity to undertake the eligible activity. Familiarity with federal, state, and local housing programs. Funds must be committed within two years; uncommitted funds will be reallocated to other states. All assisted projects must comply with laws relating to tenant protections and tenant rights to participate in decision making regarding their residences. 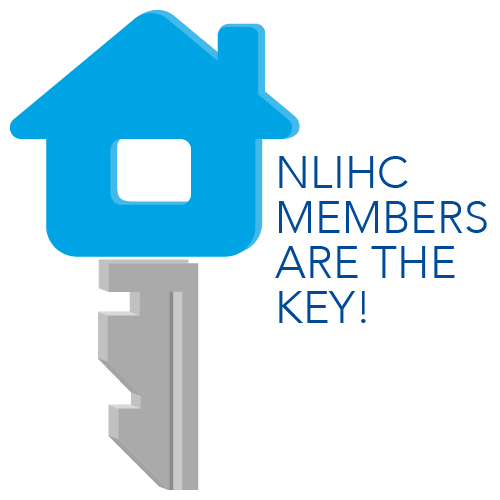 The NHTF program must comply with the overarching laws pertaining to fair housing and to accessibility to federally assisted housing, including Section 504 and the Rehabilitation Act of 1973. NHTF funds cannot be used for political activities, lobbying, counseling, traveling, project administrative expenses, or endorsements of a particular candidate or party. The statute requires each state to submit an annual report to HUD that describes the activities assisted with NHTF money and that demonstrates compliance with the state’s Allocation Plan. This report must be available to the public. States must ensure that recipients submit periodic financial and project reports, and conform to audit and record retention requirements. Want to learn more about the NHTF? Check out the full article on the program in the 2011 Advocates’ Guide to Housing and Community Development Policy, page 6, or visit the NHTF Campaign website.